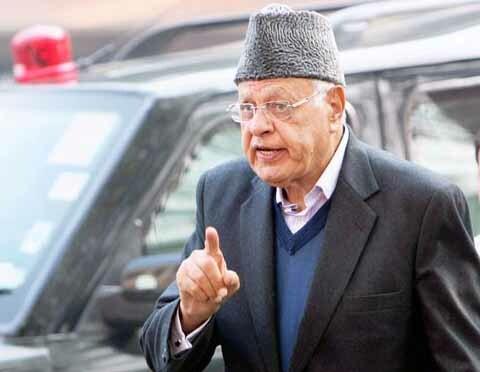 Jammu : Jammu and Kashmir’s borders can’t be redrawn, and Pakistan-held Kashmir will remain with that country, former chief minister Farooq Abdullah said on Friday. “Pakistan-administered part of Kashmir is (in) Pakistan and will remain (in) Pakistan while Jammu and Kashmir is (in) India and will always remain (in) India,” he told the media here. For years, India has been saying that Pakistani Kashmir belongs to India but has failed to put pressure on Islamabad to retrieve it, he said. So, it will stay a part of Pakistan. “War is no solution. Only lives are lost in wars. Dialogue is the only way forward,” said Abdullah, also the patron of the National Conference. Jammu and Kashmir is divided between India and Pakistan. New Delhi controls the southern two-third of the Himalayan state and Islamabad the northern third.